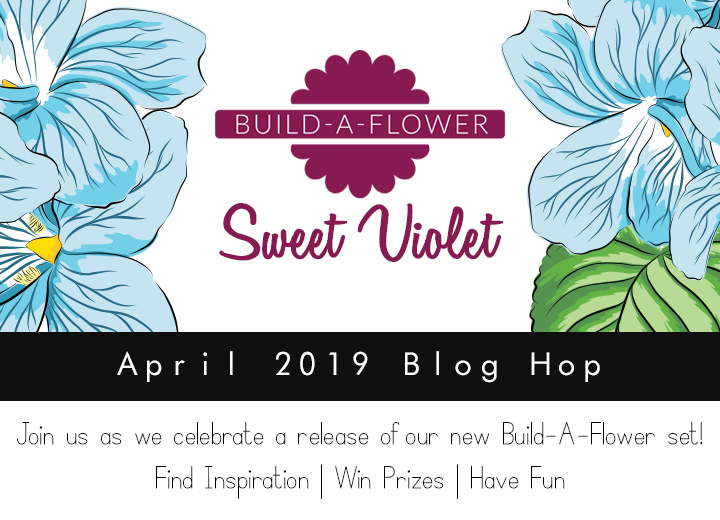 Welcome to the BAF April Sweet Violet Blog Hop and Giveaway. 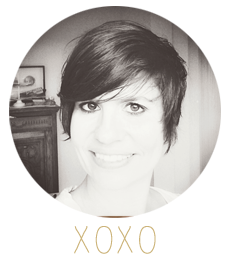 If you have come from Emily Midgett's blog you are right on track. You can start the hop over on the Altenew Card Blog. This month's BAF set is so sweet and delicate. 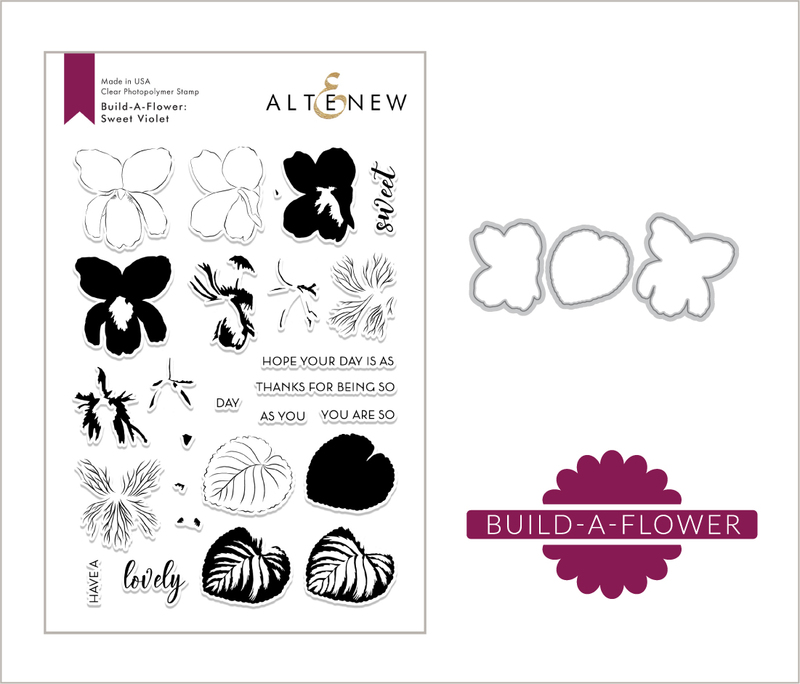 If you are interested in the Build-a-flower sets and you love flowers the BAF subscription is made for you. 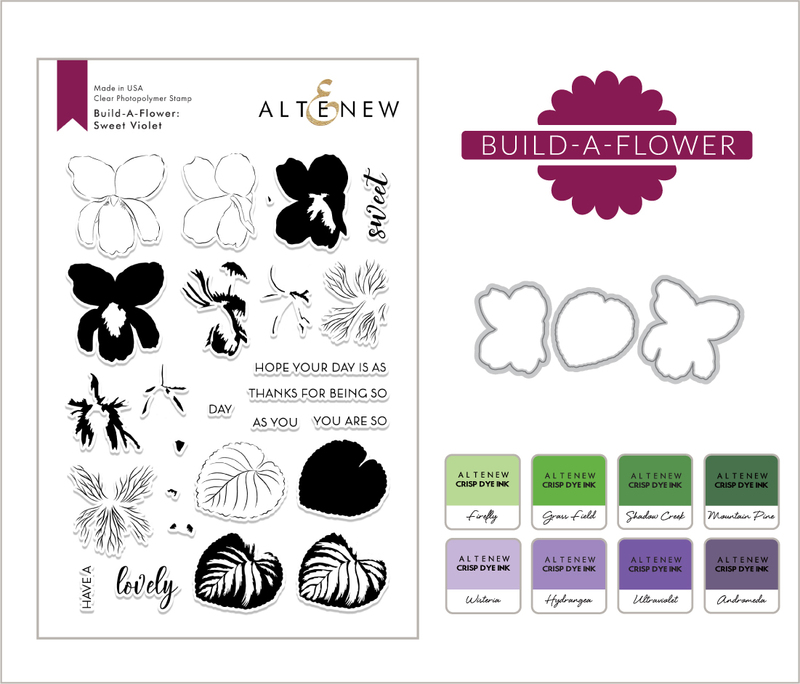 What is the Build-A-Flower Monthly Subscription Plan? I created a spread for my planner/notebook. I used watercolours so the paper of the planner did move a bit but I quite like the look. It was so simple and easy to do and now I have a pretty page which makes me happy. What I love about this set is that there are many layering options. You can layer many images, or keep it simple and just do a two or three. I picked blue and green tones and used the sentiment stamps to create a custom title. You can also acquire the bundle which has the stamp, die and mini inks so that you can start creating to your heart's content. How would you use this set? We’ll also draw a winner to receive a $15 gift certificate from the comments left on each designer’s blog on the blog hop list below. So leave a comment here for an extra chance to win. All winners will be announced on the Altenew blogs on 4/9/2019. That's a really pretty page! A very different look. The pastel colors make look like a different flower. Great design and great use of the set! So lovely! Thank you for the inspiration! Amazing how the blue and green choice turned out! Love it! Lovely page in your notebook. Love the flowers in those soft blues. I agree with you Lilith, it looks like the many layers really allow for a great variety of flowers, looks great on your page. the violets are so delicate. Love your planner page!! It's so soft and sweet! Pretty planner page. These flowers would look good on anything. Even a telephone book. Those blues make gorgeous violets. What a gorgeous page. Lovely notebook! Such pretty violets and pages. Such subtle coloring for your journal page! Love this newest stamp set so much! I will use them on pages and cards, and in my art journal! Such a lovely journal page! Gorgeous page! I Love that soft blue violet! Am loving these new Violets and theses lovely colors! Your planner page is pretty! Violets are one of my favorite flowers! Wow, sooo beautiful and so cheerful. Great place to put the violets in your planner. Soooooo creative!! Your art is absolutely stunning!! Love the way you positioned the violets...the page turned out really pretty...thank you for sharing your pretty layout. Love your pretty blue violets! Your panner page is awesome and what is most important is that it makes you happy. And I can totally see why. Fantastic planner page! Great use of the stamps and dies. Love the colors in the Sweet Violet set. Love the softness of your flowers. It's good to see some scrapbooking as well as cards! 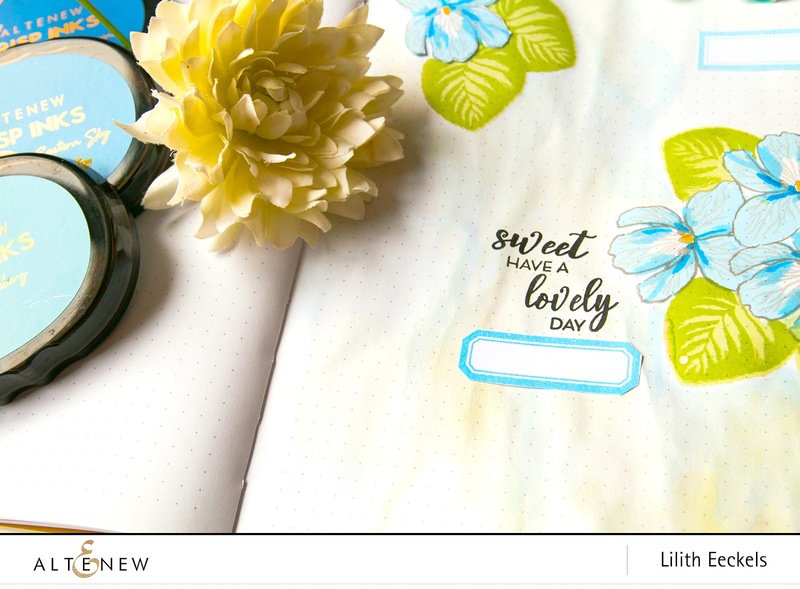 What a pretty way to decorate a page in your planner. The colours are quiet so they don't take away from the entries you may make. Thanks. Pretty planner pages with the Sweet Violet set, beautiful effect! Beautiful colors for your pretty violets! I love a simplistic floral arrangement - your page is just perfect! I love the planner page. What a wonderful way to use this set. Fabulous planner page! Violets are one of my favorite flowers and I love how you captured their sweet look. Cute way to decorate a page! Soft images in your planner page. 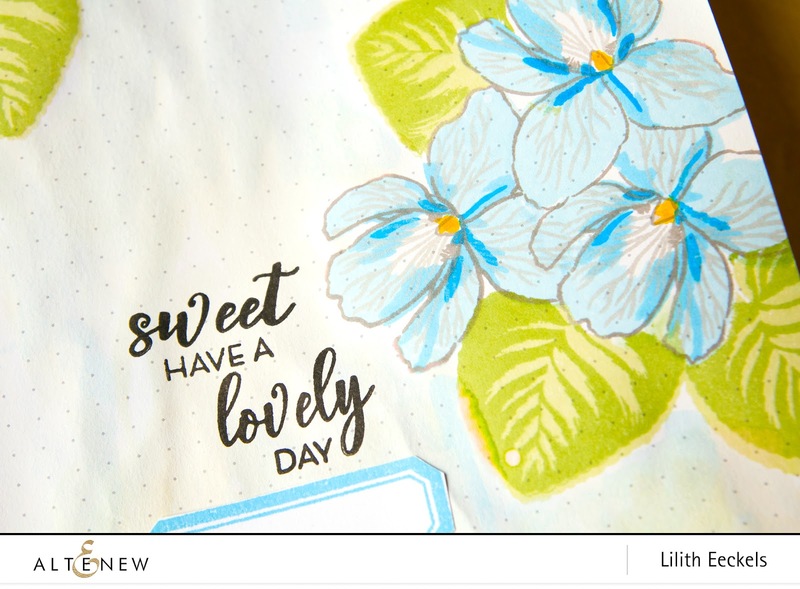 I like the soft, colored images on your planner page. Lovely colours for your violets, beautiful page Lilith. Love adding Altenew images and products to planners, is quickly becoming an addiction of mine. Your spread is very pretty, love this new BAF set. Thanks for the inspiration Lilith! This is another beautiful flower! I love the fine veins on the flowers which make them look so realistic. Thanks for the wonderful inspiration! Your planner page is beautiful! Pretty and cool at the same time! I really love how you used the new flower set! So pretty, Lilith! 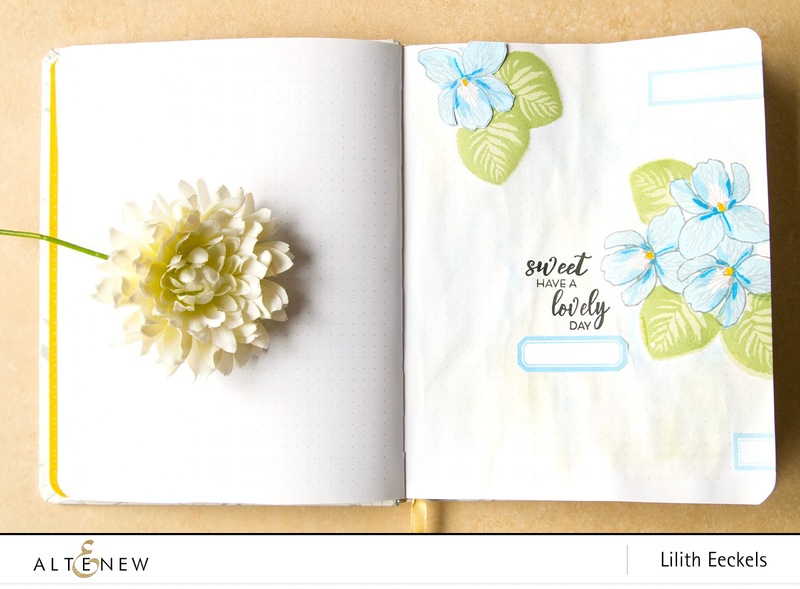 This is the perfect floral stamp for your journal pages. Lovely page! I love the color choice. It gives a much softer look. Thanks for sharing! A super pretty page with those gorgeous layered violets! Thanks so much for sharing and for your wonderful inspiration! The new BAF set is really fantastic. And I love the inspiration project. 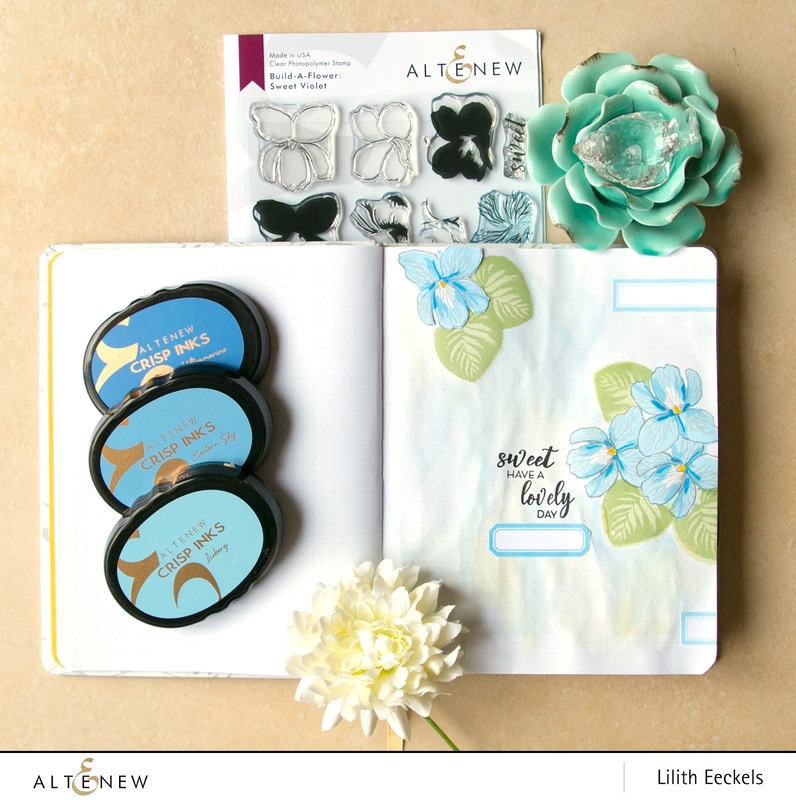 Very pretty page - what a great idea to use stamps to decorate a planner page! I love your planner -- such a great idea. The Sweet Violet set is so gorgeous and your colors are beautiful. Your violets look beautiful. Love the soft coloring you used. Thanks for the inspiration! Those blues are very pretty. Thanks for showcasing them in a journal. They are lovely. Very pretty, love the blues. I love this BAF set!! I love the soft blues and yellows. Very lovely. A very beautiful page layout! Your scrapbook page is beautiful.